Solutions abound, but they look forward, not backward. Many observers decry the loss of national coherence and purpose, and the increasing fragmentation of the populace into "tribes" with their own loyalties, value systems and priorities. But few (if any) of these nostalgic observers note that history has no rewind button or reverse gear. It is impossible to recreate the national unity of World War II, as modern war is either specialized or nuclear. Neither enable mass mobilization. Few observers note that World War II set the template for the next 60 years:the solution is always to further centralize power, control and money to serve the goals set by centralized authority. The wartime economies of every combatant were optimized not just for production of war goods but for centralized command and control of that production. We are now so habituated to centralized decision-making, control and power that we don't even question the notion that a wildly diverse nation of 320 million people can be well-served by a single healthcare system that requires thousands of pages of regulations to function in a centrally managed fashion. 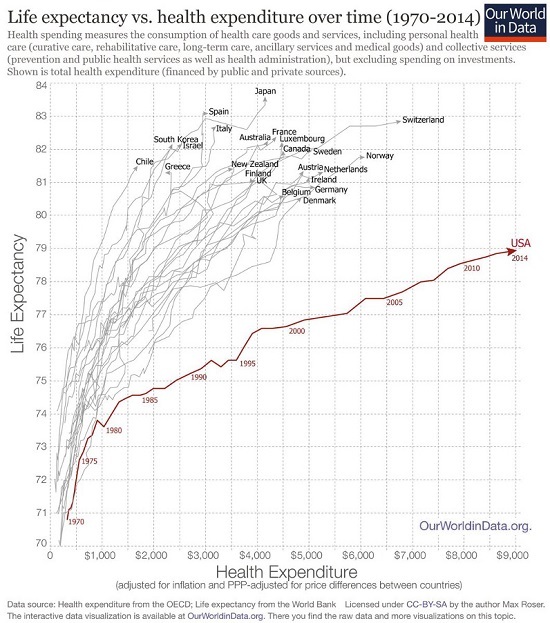 It seems blindingly obvious to me that we need 10,000 different solutions to healthcare, not one insanely complex centralized system that is a global outlier in its cost and ineffectiveness (see chart below). Those who are nostalgic for a centralized command and control economy and society are like those who decried the breakdown of "the one faith" Catholicism in the emergence of Protestant Christians. The Protestant Reformation occurred because the centralized authority of Rome no longer worked for many of the faithful. The proliferation of Protestant churches was the solution. Simply put, the 4th Industrial Revolution has de-optimized centralization.Centralized control, power and money are now the problem, not the solution. This reality has pitted the changes in the economy and technology against the political command and control system that is virtually unchanged since 1945. New layers of bureaucracy are added, but none are ever dissolved. Those decrying the loss of centralized control and narratives are in essence decrying solutions to the new problems we face. Just as the Catholic Church could not turn back the clock to 500 A.D., so the central states and banks cannot turn back the clock to 1945. Solutions abound, but they look forward, not backward, and they embrace experimentation, innovation, decentralization, community and new models that obsolete de-optimized centralization. These solutions are what Of Two Minds is all about. New Year Note: I want to thank those financial contributors who have supported the site throughout 2016, and especially those who renew their financial support like clockwork in January of every year. 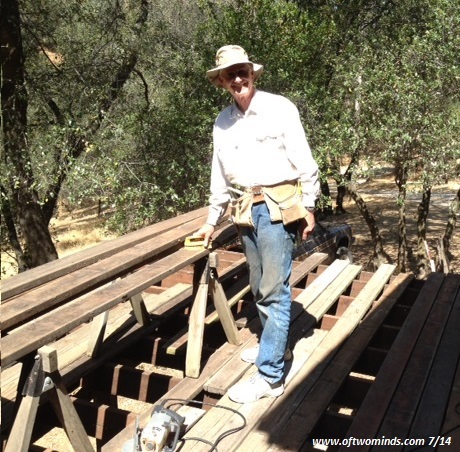 It is you stalwart financial supporters that keep the site going. Thank you for contributing your hard-earned money to this often-Quixotic project. This includes the subscribers and patrons who receive the weekly Musings Reports ($5 per month or $50/year) as a token of my appreciation. In 2017, the site will continue to focus on new tools for alleviating inequality, privilege and poverty globally. Yes, it's possible, and yes, it's practical. I've written three books on these topics: Inequality and the Collapse of Privilege, Why Our Status Quo Failed and Is Beyond Reform and A Radically Beneficial World: Automation, Technology & Creating Jobs for All. More to come on all fronts--thank you for sharing the journey. Thank you, George W. ($10/month), for your outrageously generous pledge to this site -- I am greatly honored by your support and readership. Thank you, Bruce D. ($10/month), for your outrageously generous pledge to this site -- I am greatly honored by your support and readership.